“Make It, Bake It, Grow It, Gather It!” The Tofino Market runs every Saturday from 10am-2pm on the Village Green, from May Long Weekend through to Thanksgiving. Enjoy unique, hand-crafted artisan wares and up-cycled creations from up to 50 vendors representing the West Coast of Vancouver Island. There’s live music on the gazebo stage, and a free Arts & Crafts Zone for kids. The Market also features local First Nations carving and cedar weaving demos and workshops throughout the season. And don’t forget to fill up on fresh produce, delicious baked goods, hot food and tasty beverages! 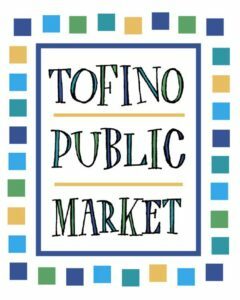 The Tofino Market is the perfect place to experience the creative vibe of Tofino, where people join together to connect with the artists, the products and the community.